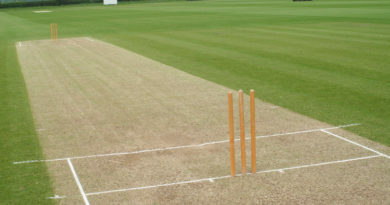 Generally it is a less flighted skidding delivery which pitches in just outside the off stump line to middle stump line at length of 3 to 5 yards and moves away sharply from right handed batsman after hitting the pitch. 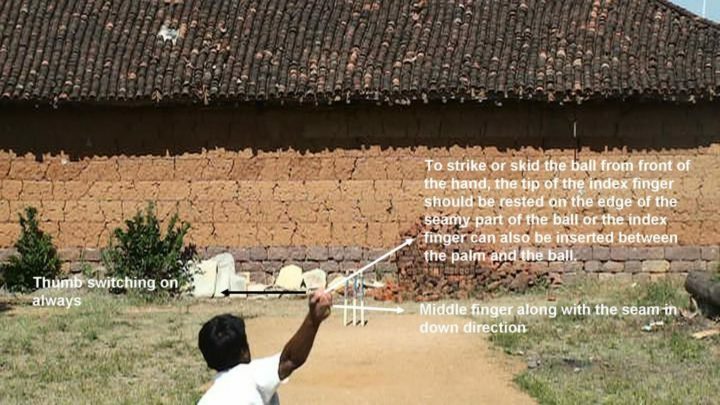 It is the index or middle finger depends on individual which plays the major role with the other supporting fingers in pushing or striking the ball from front of the hand, which finally allowing the ball to move away sharply from right handed batsman after hitting the pitch. 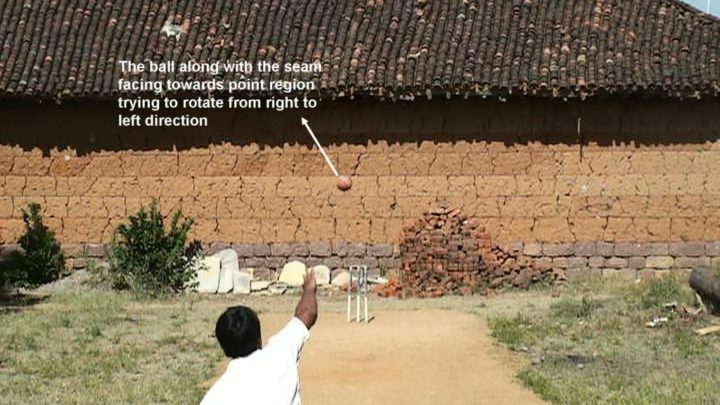 A Complete Video analysis on – How to bowl a Carrom Ball? 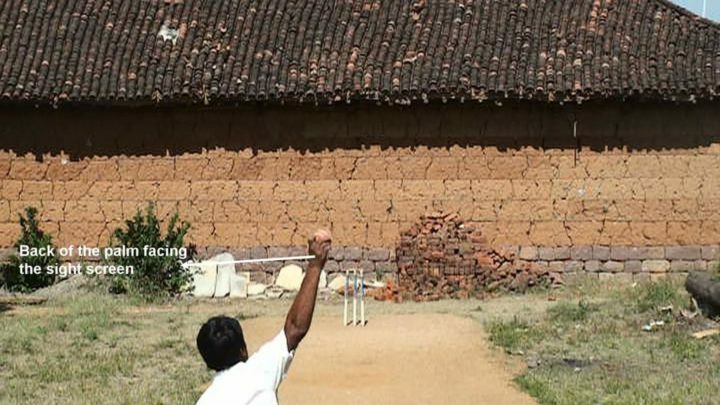 So how do you bowl a Carrom Ball? 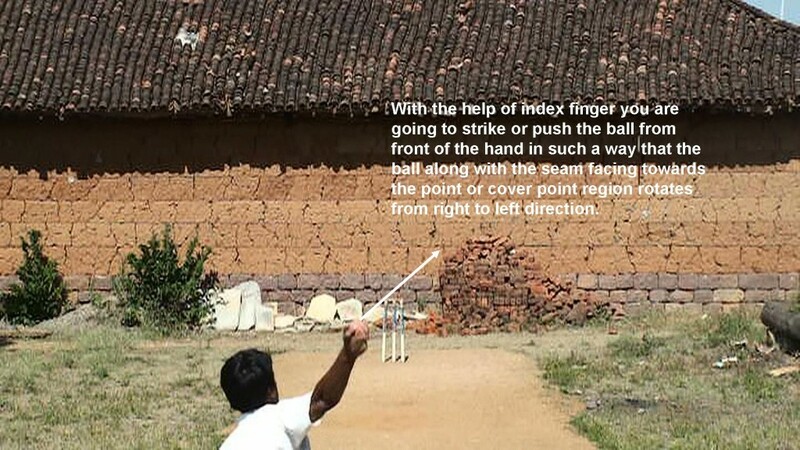 Make sure the tip of the index finger is on edge of the seamy part of the ball or index finger can also be inserted between palm and the ball. 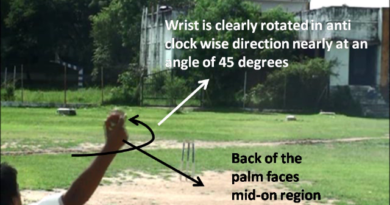 This is my comfortable grip, but generally the regular bowlers will try to insert their middle finger little bit between palm and the ball (along with the seam), and the thumb should be always switched on, at the end of the day to strike or skid the ball from front of the hand the above things needs to be concentrated. 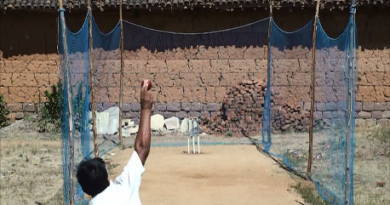 Why this kind of ball is known as Carrom Ball or other kind of doosra ? Since you are going to skid or spin the ball away from the batsman under the context of same off break bowling action, it can also be known as one kind of doosra ( Remember not the original doosra bowled by Saqlain Mushtaq and others). Just like as we do use striker in Carrom board, with the help of index or middle finger just strike the ball or in fact push the ball from front of the hand from right to left seam facing towards point or cover point region, which finally allows the ball to move away from right handed batsman after hitting the pitch. This concept of bowling may be slightly similar to leg spin bowling, but there is a thin line of difference between Carrom ball and Leg spin bowling. The difference is, in Carrom bowling you are going to skid the ball from front of the hand facing the batsman, and back of the hand facing our side when the ball actually is released, where as in Leg spin bowling you are going to spin the ball from back of the hand facing in unusual or opposite direction, and front of the hand facing opposite to batsman. 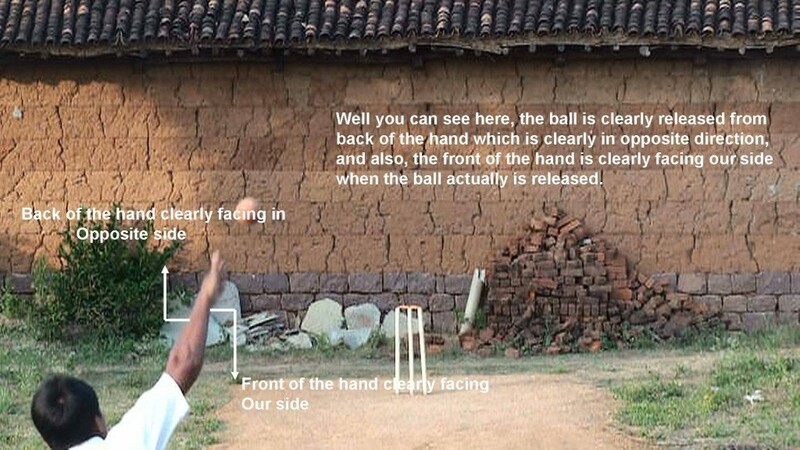 At the end of the day how ever you bowl, the ball just spins or skids away from right handed batsman once it hits the pitch well whether it is Leg spin bowling or Carrom bowling. 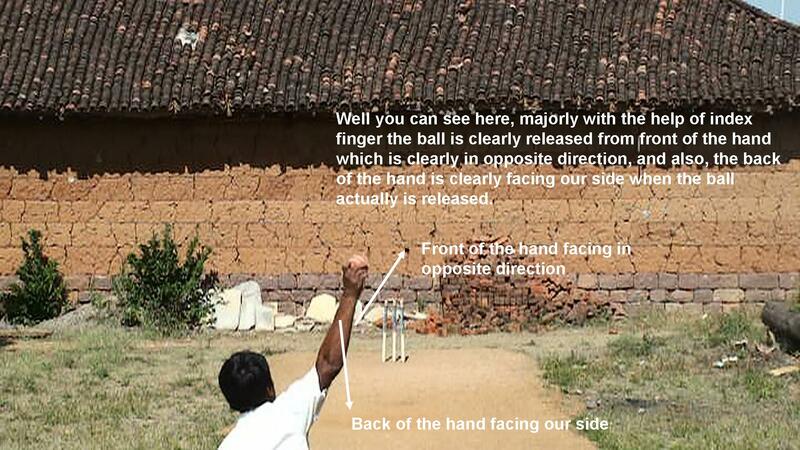 You should try to rotate or skid the ball from right to left, therefore the direction of position of the seam will be towards point or cover point region, the ball moves accordingly along with the seam ( right to left ) in fact sharply away from right handed batsman after hitting the pitch, so finally in order to strike the ball with the help of index or middle finger the back of the palm will have to face the sight screen. 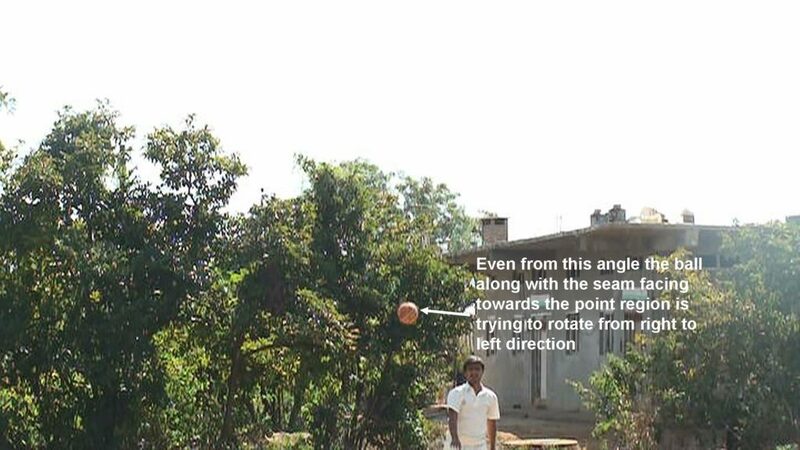 Even from this angle the ball along with seam facing towards the point region is trying to rotate from right to left direction.